About Us | Avionics Blog – Avionics to the Max! Maxcraft Avionics Ltd. provides professional avionic services to all types of private and commercial aircraft, both rotary and fixed-wing. Its services include complete panel upgrades, installation, design, fabrication, STC approval, wire kit fabrication, and worldwide field support. As a fully authorized representative of multiple industry-leading manufacturers, Maxcraft has an enormous inventory of serviceable avionics equipment available for sale, exchange or rent. Maxcraft is a Transport Canada approved maintenance organization holding ratings in Avionics, Structures, Instrument, Component, and Aircraft categories. It is recognized by both EASA and the FAA. Maxcraft is the largest avionics facility in Canada. 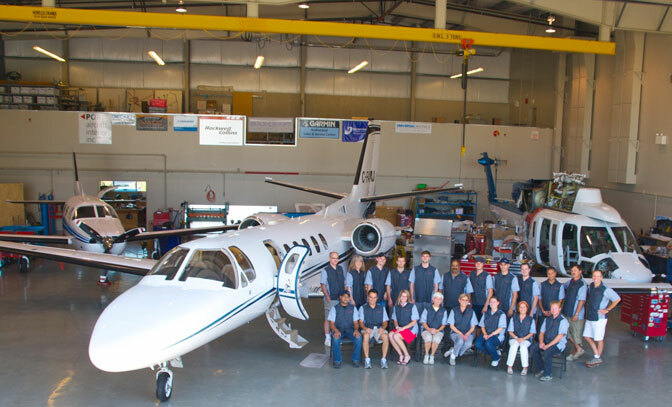 50% of Maxcraft employees are certified, licensed technicians; more than anyone else in Canada. Over 25% of Maxcraft’s workforce are licensed pilots. Our shops has over a half million dollars in sophisticated, custom avionics testing tools on-hand and Over 20,000 avionics parts in inventory. Maxcraft is an authorized representative of over 30 the world’s leading Avionics brands. Maxcraft Avionics is the largest Garmin avionics dealer in Canada. Whether you’re a private pilot or look after a commercial fleet, if you’ve got an avionics challenge, our customers know that at Maxcraft they they’ll get Maximum quality and professionalism. Read more about Maxcraft Avionics here.